Marvel’s highly anticipated “Black Panther” set new expectations for future Marvel films. To many, however, it is more than just a superhero movie. The cast receives attention because their characters are relatable. When children watch their favorite superhero movies, they develop deep admiration for the heroes or heroines. They love to imagine themselves as powerful figures, such as Captain America, Spider-Man, Superman or Wonder Woman. It gives them the idea that they can be “super” in their own way. However, especially in the African-American community, children are sometimes unable to see themselves as their heroic role models. “Black Panther” provides African-American children with a superhero who looks like them. Sure, there are black sidekicks and support characters in superhero films, such as War Machine in “Iron Man 2,” but it creates a different level of inspiration when the main character is African-American. The film’s rich use of symbolism also helps make this one of the best superhero movies ever made. “Black Panther” contains reoccurring themes such as pride, corruption, loyalty and slavery. “Black Panther” did a phenomenal job of using characters who represent different viewpoints of the modern black community. On one side, there are those who openly show strong resentment for their historical oppressors, white supremacists and slave owners who colonized America. On the other, are those who resort to nonviolent methods and a philosophical approach when opposing those who discriminate against them. Most, if not all, of the hype surrounding the film radiates from the black community, especially because of the time in which the movie was released. Now more than ever, African-Americans are becoming significantly conscious of their ethnicity. 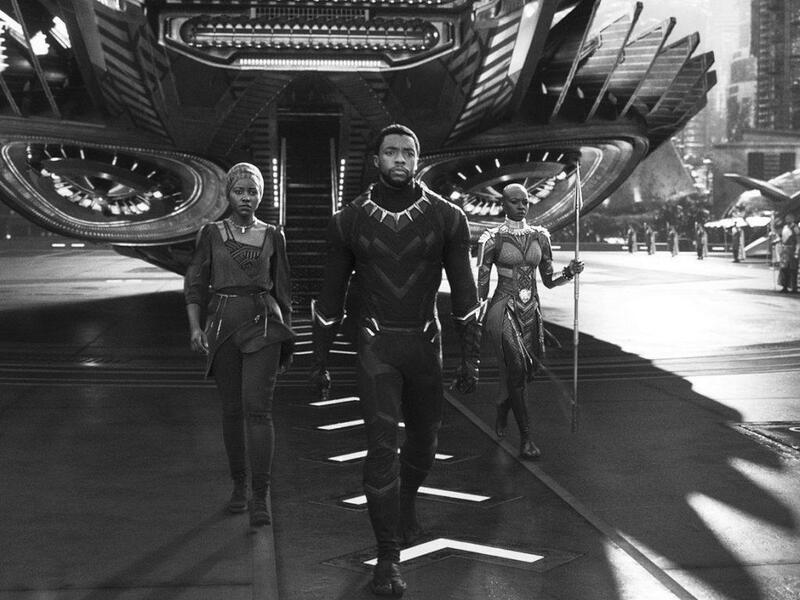 With movements such as Black Lives Matter and the increasing numbers of black advocates for social justice, there’s no better time than right now for a popular black-focused film that sparks controversy. “Black Panther” will most likely be one of the most discussed and debated movies of the year. The film is the most-tweeted about movie of 2018, according to Variety. I saw a post published by a black person that read, “If you aren’t this dark, don’t even think about watching ‘Black Panther.’” Joke or not, the tweet caused controversy. The tweet was seen by some as racist toward whites. “Black Panther” is perceived as a revolution for black people, and many forget what it truly is – a Marvel superhero movie. And more people watch Marvel movies than just black people. “Black Panther” should serve as a milestone in black modern history, but the black community shouldn’t be blind to the fact that it is a movie for all audiences. Next → Next post: Pets of the Paper!